I have hot, strong, black, Columbian coffee in hand and I'm about to take the 2 dogs 'out' for the morning but I thought I'd pop into Coffee Talking and see if Amazon affiliate links are working yet. The links already on my blogs are fine, but as of yesterday morning, any new image links were being broken upon publishing as blogger (or someone...) was inserting a long line of random characters to ruin the html code and render it useless. The code as I'm looking at it right now - in the editing box is perfect. However, if I hit 'compose' mode to see the links as my readers do, or when I hit 'publish' it will then render the link useless and broken. Yesterday I found the TEXT links were still working, but not images. So without further adieu, because my dogs are waiting patiently and my cats are waiting not so patiently, here is my test this morning. In honor of all the Italian coffee I had while visiting Italy a few years ago. Edited to update: IT SEEMS TO WORK!!!! Yesterday must have been a fluke in their system as Amazon strives to 'fire' the bloggers and affiliate links that live in 'sales tax' states. I know they were firing them this weekend and rending their links ineligible. Maybe that was the cause even though I don't live in one of those states???? I don't know. But I know it seems to be working this morning so I'll leave well enough alone and go take my dogs out. 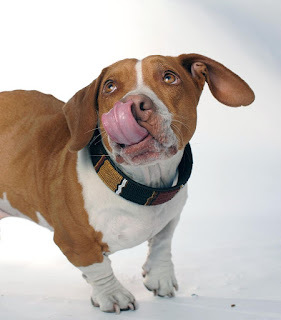 This morning I'm glancing around the world of news and I see a rather cute photo of a dog, those little face with a big tongue caught my eye because he was kind of cute (even though I'm not a fan of Beagles or Basset Hounds and he looked like a mixture of both). Then I saw the headline; apparently this little guy was the winner of the World's Ugliest Dog Contest, held annually in California. How can that be? I've seen past winners (hairless, scrawny, truly ugly creatures. Is this a joke? A mistake? Were the judges blind? 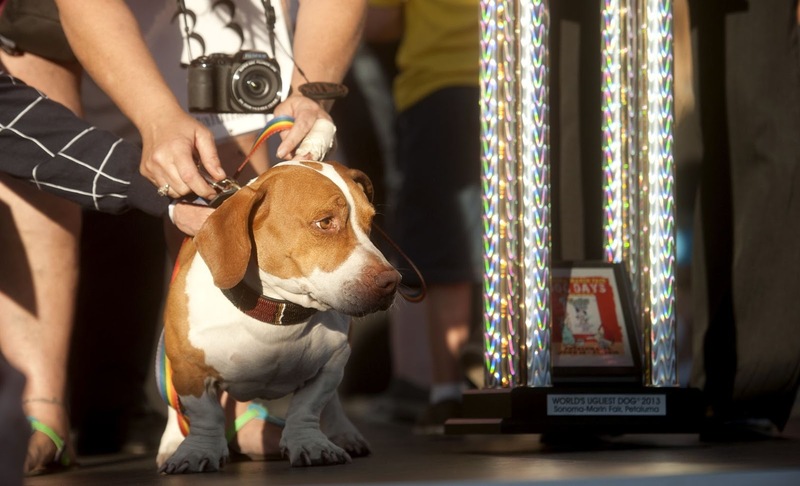 A huge-headed, duck-footed mix of beagle, boxer and basset hound was the upset winner Friday at the 25th annual World's Ugliest Dog Contest. It's his cute little duck feet!!! Yes, he does rather look like someone photo-shopped feet onto another body, onto another head. I think his little splat duck feet won it for him. But to be honest, I still think he's too cute to win. Caramel and Coconut or Thin Mints? New Coffee-Mate Coffee Flavors! What if you could drink your favorite Girl Scout cookie? This past weekend we had a house full of guests from 3 different states, celebrating a family reunion of sorts. One of them brought me a package that had been delivered to our front door. Opening it up I was thrilled to receive a new product to try and review from Coffee-Mate Flavored Creamers; their new Girl Scout Cookie flavors! Having a package delivered in the midst and hullabaloo of a family reunion weekend was fun and generated conversation about everyone's favorite Girl Scout Cookies. The two Coffee-Mate flavors offered are their best selling caramel and coconut flavored version and the thin mints version. I let everyone know both flavors would be available at the breakfast buffet the next morning and I looked forward to getting their feedback after tasting them. The next morning after coffee we found one of the flavors was a clear winner. The guests tended to gravitate to the caramel and coconut flavor. I actually think that might be because it's summer time and even at 8:am, it's already hot and humid out. I think the Thin Mints might have been the clear winner had the reunion been held in November. While we served the Coffee-Mate flavors with hot coffee during the family reunion, it was only after the guests had all returned home to their respective states that I found my own favorite way to enjoy them. Iced! And the Thin Mint flavor Coffee-Mate creamer made into an iced coffee is the perfect, refreshing drink on a summer afternoon! With 5 carbs and 5 grams of sugar in each tablespoon, you can add as little or as much as you wish to get the flavor you like best. However, if sugar is an issue for you, they do offer many other flavors in versions that are sugar free and also, reduced fat. I often use powdered and liquid creamers in baking as well as my coffee. Adding it to a quick bread like pumpkin or to my cheesecakes is an easy way I play around with recipes using items I have on hand. I visited the Coffee-Mate website this morning and found a special offer to print a coupon you can use at your local store. Our guests this weekend were all pretty excited to see these new 'cookie' flavors to add to their coffee and I was glad they arrived in time to share. While I was given a product to try and review, I was not paid in any way for this post and all my comments and opinions are my own. Dogs and coffee. 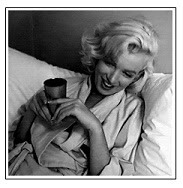 That's my life this morning so it makes for a pretty good post on the Coffee Talking website! Regular readers know we adopted two abandoned puppies last June. Left as newborns in the middle nowhere, on a country dirt road; their path crossed with a woman getting her mail, who knew a woman who fostered dogs for another woman who did dog rescue. Through these links they ended up rescued and put up for adoption, where I fell in love with the one we eventually named Marley, and she came with the "bonus" dog - a sister, we named Lucy. Just 4 months after adopting them, the first signs of knee and hip problems arose and we found out they are about as genetically messed up as you can get in both knees and both hips... on both dogs. Thus started a road of recovery to get their kneecaps in place, ligaments in the correct place with steel pins, tendons in place and later, stabilize their hips after their legs and knees are strong. They are just about 15 months old now so they have a long, healthy life ahead of them if we can get through a year of back to back surgeries! I'm awaiting a call this morning from the surgical center, where Lucy underwent her 3rd surgery last night so without further adieu, I'm going to post Coffee themed decor while I wait for the follow up call. And what better topic when the first thing I stumbled upon this morning was a Black Dog Coffee framed print!? Staying with the 'framed print' look verses a canvas or tin material, I chose to feature this 4-piece coffee themed set. I personally have a 3 piece framed coffee themed set in my kitchen area, which has been a favorite of mine for a few years now. The price is for all of the framed 8x10 inch art prints you see pictured above. The frame is black and made of MDF Composite. Moulding Dimensions: 1" wide by 3/4" tall. Print Size: 8x10 inch poster. While on that page I happen to glance down at the similar items bought with this set and found this clock; how about that? You could have your whole kitchen, dining or breakfast nook area finished and decorated in about 10 minutes flat! 4 framed prints and matching clock. Done.